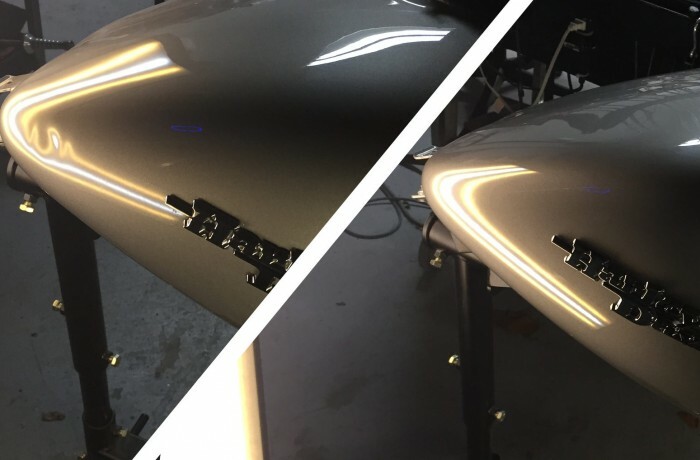 We offer high quality dent repair services for motorcycles and luxury vehicles. -Our technicians regularly repair dents on exotics from Ferrari to Rolls Royce. -We are continually expanding our team of technicians in order to provide a more complete list of services to better care for your vehicles appearance!